TAKE PIC OF RECEIPT WITH YOUR CELL PHONE. The perfect bookkeeping solution for Real Estate Agents, Truckers, & busy professionals on the go. Simply take a picture of your receipts and pay-stubs with your cell phone, or use your scanner or computer, and they are instantly received by your assigned bookkeeper for posting into the Ledger program. At any time you can view all your receipts and financial statements by simply logging into your personal secure online bookkeeping folder. Who will be doing my books? A suitable bookkeeper, selected and assigned by MoneyLedgers. How Will the Bookkeeper Get the Receipt? MoneyLedgers will create and grant permission for both you and your bookkeeper to have exclusive access to your secure online bookkeeping folder. Can I view My Receipts Online? Yes, you will receive your own, secure, encrypted online MoneyLedgers folder. Login and view ALL your receipts & financials any time. Can I Use My Scanner? Yes, you can use your cell phone, scanner, or computer to upload files into your online MoneyLedgers bookkeeping folder. How Much Will this Cost? Pricing starts at $99.95 per month for a 60 transactions per month average. The next 40 transactions per month are an additional $40.00 per month... then goes up by $50.00 increments for each additional 50 transactions per month. Initial setup fee of $99.00. Cancel any time. What is Included in the Setup? You will receive personalized instructions by way of a webinar to: 1. Assess and setup the Ledger software program with your needs in mind. 2. Instruct you on how to upload your receipts using your cell phone, scanner, and computer. 3. Provide you will with instructions on using your bookkeeping folder. 4. Answer ALL your questions. Cancel at Any time and Keep the Ledger Software for FREE! 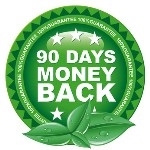 To get up and running, all you pay is the initial $99.00 setup fee, then billing is at the end of each month. Cancel at any time, and just for trying our services you get to keep the MoneyLedger software at no additional cost. If this interests you please email: admin@moneyledgers.com and we will contact you and answer all your questions, and get you up and running. NOTE: requires a web enabled cell phone with camera.